This listing is for the red and blue earrings on the bottom left. 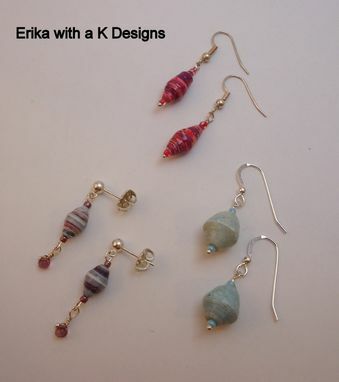 These include a dangle made with a Czech glass drop and sterling silver ear wires. 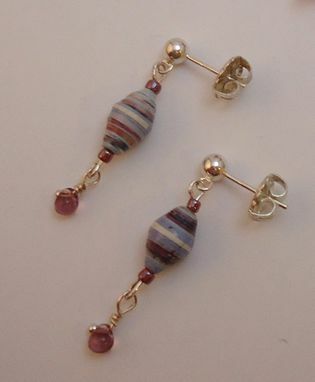 They measure approximately 1" in length.